The evening’s panellists were Beers, Je Anders of The Mark (pictured), Open File’s Wilf Dinnick and James Baxter of iPolitics.ca. The Tyee, at 8 years old, has grown past it’s startup days – Beers prefers the term “start-it-up” — but the rest are all brand-spanking new. BNN host Andrea Mandel-Campbell was the event’s moderator, and she pushed the panel to talk strategy and had the four dissect their business models. Her key question for the night: Where’s the money? “There’s a lot of great opinion in Canada, but not a lot of reporting.” — James Baxter on why he launched iPolitics.ca. “Journalism isn’t valued as it should be, especially online.” — Wilf Dinnick on how hard it is to get paid. “Of the last 1,000 things published on The Mark’s site, 90% weren’t profitable. 10% were. Can we afford to pay everybody? No. Can we do some revenue sharing going forward? 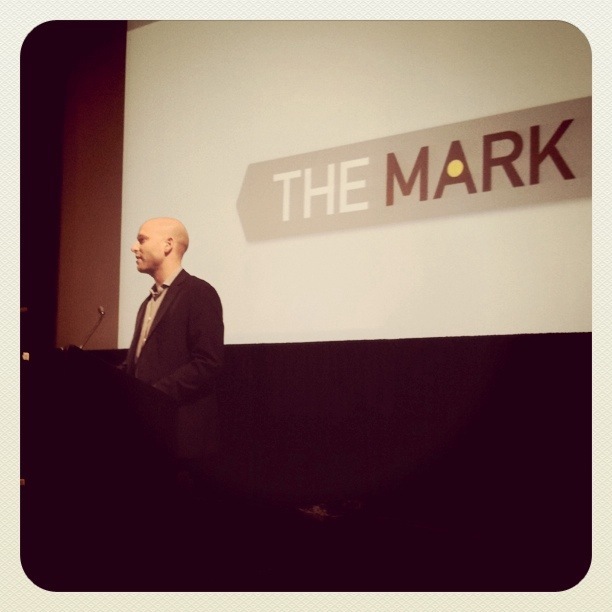 Yes.” — Jeff Anders on how to get paid writing for The Mark. “Write for free to build your reputation, and use your reputation to get paid doing something else.” — David Beers on how to make it as a journalist. This entry was posted in Articles, liveblog, Photos and tagged liveblog, news, online, startups. Bookmark the permalink.